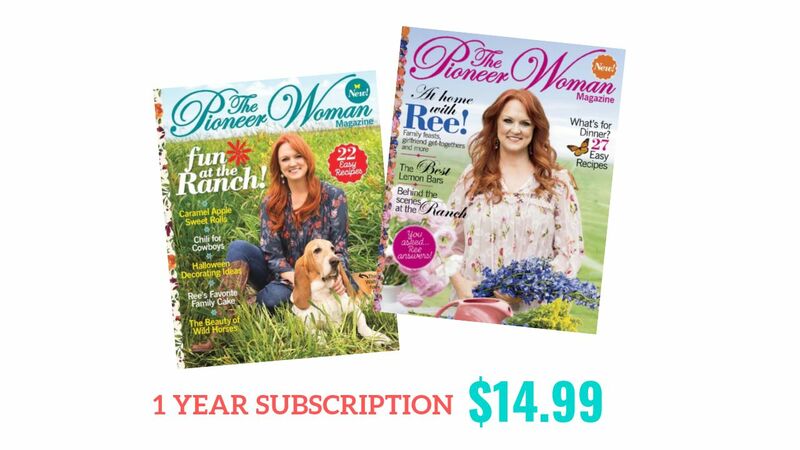 If you are a Pioneer Woman fan, you will love this deal! Use the code SOUTHERNSAVE to get a 1 year subscription for $14.99 (reg. $24). You can also use the same code and get up to 2 years for the same price per year. The magazine is filled with recipes, great tips, and stories! Find dozens of family favorite recipes, go behind the scenes at Ree’s Ranch, easy decoration and craft ideas, and much more. The deal ends 4/10. Shipping is FREE and the magazine does not auto-renew.